Odon Wagner Contemporary will be participating in this years CONTACT photography festival with an exhibition of new photographic work by Eric Klemm, Impressions on the Land (May 5-May 31, 2006). 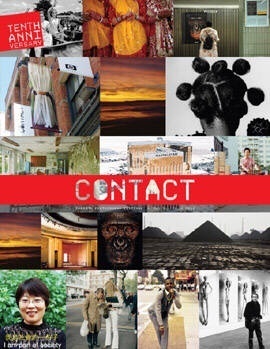 The CONTACT photography festival begins May 1 and runs until May 31. This year's theme is Imaging a Global Culture, where photography is used as a means of participating in global exchange and also of examining a burgeoning global culture, its impact on the world and our place in it. Eric Klemm's photographs represent the lasting imprint of human activity on the diverse wilderness of British Columbia. They are operatic vignettes where nature seems ever poised to reclaim itself from tentative human endeavour.